Mercury House in St Julian's has been issued with a conservation order notice amid threats from the adjacent development at Pender Place. The Malta Environment and Planning Authority had scheduled the building in Triq San Ġorġ because of its architectural, historical and cultural importance. Mepa said Mercury House was suffering from "human impact" caused by the recent excavation works at Pender Place underway since November 2008. The owner has been instructed to issue a Consolidation Method Statement prepared by a qualified conservation architect. The statement is to detail all aspects of conservation, including the temporary shoring, consolidation, and restoration of the dangerous structural parts and any other measures deemed essential to safeguard the historic and architectural values of the building. On approval of the Mepa statement, the owner is obliged to carry out the restoration and consolidation works within three months. In the interim, the building is to be adequately shored to prevent further damages and ongoing excavation works causing damage to the building must be stopped until Mercury House has been consolidated. Excavation works may not resume until Mepa is satisfied that Mercury House has been rendered safe and will not be damaged again by further excavations and development. 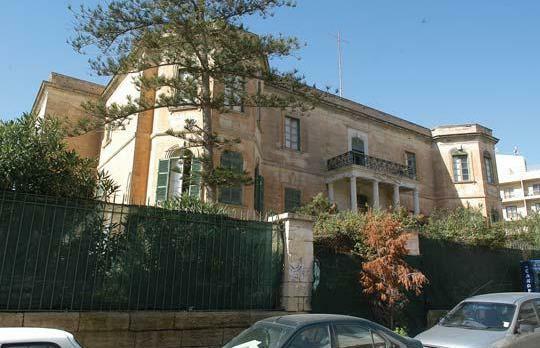 Mepa has ordered that Mercury House shall in future be conserved through a continuous maintenance programme.